The Baker Group is one of the nation’s largest independently owned securities firms specializing in interest rate risk and investment portfolio management for community financial institutions. Baker’s products and services include asset/liability management, investment portfolio accounting, investment portfolio analysis, budget and board reporting, broker/dealer services plus educational programs concerning regulatory issues, interest rate risk and portfolio management. Banks Street Partners, LLC ("BSP") is an investment banking firm that serves financial institutions across the United States. Since its formation, BSP has assisted clients in whole bank mergers and acquisitions; branch sales and purchases; FDIC-assisted purchase-and-assumption agreements; capital raises; non-performing asset bulk sales; and strategic planning. Cantor Fitzgerald is a pre-eminent capital markets investment bank and a recognized leader in fixed-income sales, trading, and strategies offering an impressive array of products and services to more than 7,000 institutional clients around the world. Cantor is one of the 22 primary dealers authorized to trade U.S. Government Securities. *MBA Program Partner* Crews & Associates is a full-service broker/dealer with more than 160 investment professionals registered in all 50 states. Crews specializes in trading municipal, corporate and government agency bonds. With public finance offices around the country, the firm underwrites municipal bonds and private placements and offers free account maintenance and safekeeping services. Duncan-Williams, Inc., is a full-service broker-dealer providing a wide range of financial products and services to Institutional and Retail Investors. Our strength is turning portfolio analytics into client-specific, value-added ideas and solutions for our clients. In addition, Duncan-Williams has been the No. 1 underwriter of total Mississippi issues for the past five years. We power the vision of banks by executing your capital raises, M&A advisory, debt placement initiatives, while continually providing strategic thinking and perspective. We separate the noise from the real opportunities. National Community Investment Fund is a nonprofit, Community Development Financial Institution (CDFI), and the largest investor network focused on missionoriented financial institutions (CDFIs, minority banks and other mission-oriented financial institutions). NCIF has a mission of increasing the flow of financial products and services in underserved communities and people nationally. Olsen Palmer LLC is an independent, nationally-recognized investment banking firm that specializes in advising community banks across the spectrum of mergers & acquisitions. By design, advising clients is our only business, allowing a truly independent, client-centric approach: nimble, high-touch and conflict-free. Throughout our 20-year history, we have challenged ourselves to view your industry from your vantage, and to ask ourselves what we would need to make complete, confident and quantified investment decisions for a financial institution. We are committed to helping financial institutions improve their long-term performance and deliver shareholder value. Use Promontory Interfinancial Network’s Bank Assetpoint®; Residential Mortgage Network; Insured Cash Sweep®, or ICS®; CDARS®; IND®; and Yankee Sweep® services to source new asset opportunities, diversify your asset portfolio, reduce collateral requirements, purchase funding, and build multi-million-dollar relationships. With more than 40 years of proven performance, Raymond James is well-respected for our full-service, fixed-income expertise. We offer the strength and resources clients require and deliver skillful guidance, unparalleled service, superior products, innovative strategies and in-depth research. Put the power of Raymond James to work for you today. Smith Shellnut Wilson is a registered investment advisor specializing in managing investment portfolios for individuals, institutions and foundations. The company serves as a complete investment department for community banks. 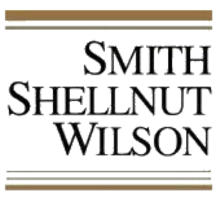 The principals and employees of Smith Shellnut Wilson offer a combination of skilled investment management and unremitting client service. Vining Sparks, IBG, L. P.
Vining Sparks is a client-centered partner offering strategic balance sheet and investment solutions to community banks. Since its founding in 1981, Vining has grown to more than 300 people with capital exceeding 0 million. As a leading broker/broker dealer to community banks, Vining provides advanced analytics, asset/ liability management, bond accounting, commercial loan hedging, whole-loan trading, fee-based asset management and more.